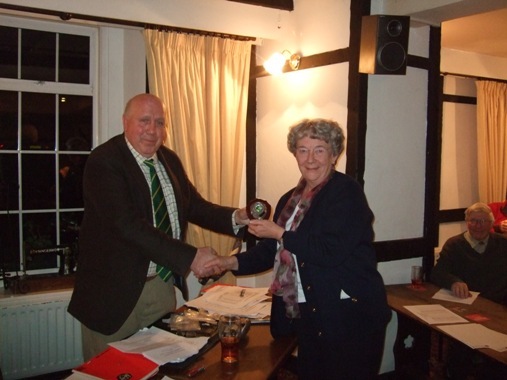 The 2013 AGM took place for the first time in the King's Head Hotel, Usk. The Landlord, Steve Musto who is also the President of Wentwood Reservoir Fly Fishing Association kindly allowed use of the room for our first meeting at The Kings Head. The buffet was excellent and everyone had a good night; good food, good beer, good company and nice surroundings what more could anyone ask for! The officers of the association gave their respective reports and answered questions from the meeting floor. Treasurer John Rutledge outlined the future plans for installing running water and a permanent toilet adjacent to the club lodge. 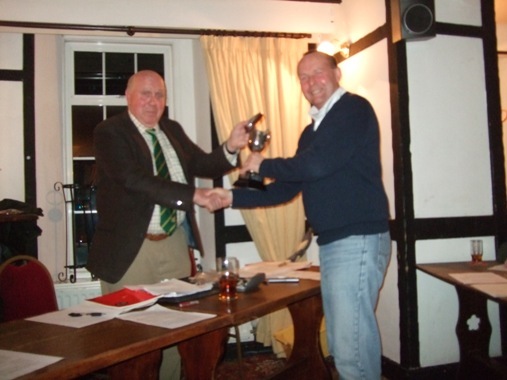 The Chairman's Clubman of the Year Trophy was awarded to Peter Evans who has worked unceasingly to improve the landscape and surroundings of the reservoir. 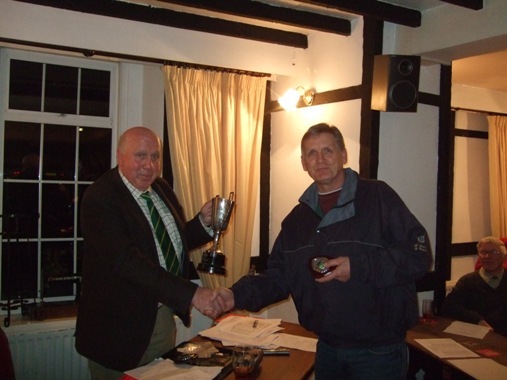 The Spring Bank Competition trophy was awarded to Dave Wells, Dave also won the Boat Competition Trophy and his Dad Jack won the heaviest brown trout trophy for the capture of a super 4 pound fish. 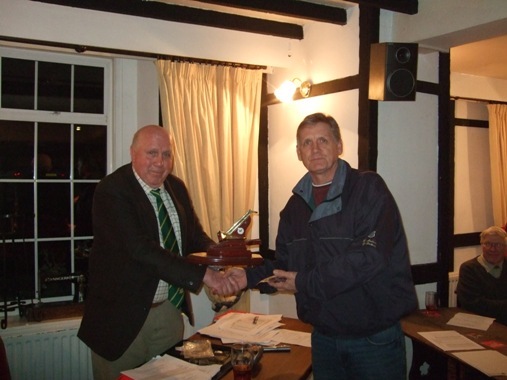 The trophy for the heaviest rainbow trout was won by Richard Hallaran who caught a magnificent 7 lb fish. 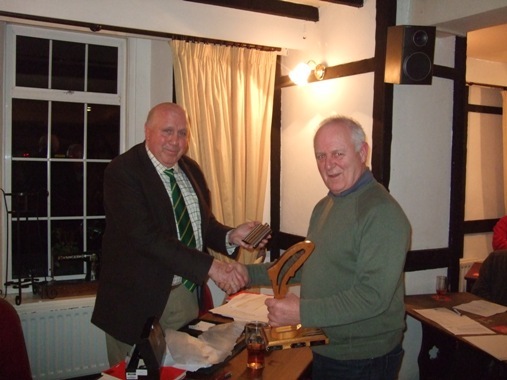 The raffle raised £87 and took a long time to draw as so many members had kindly donated some great prizes. 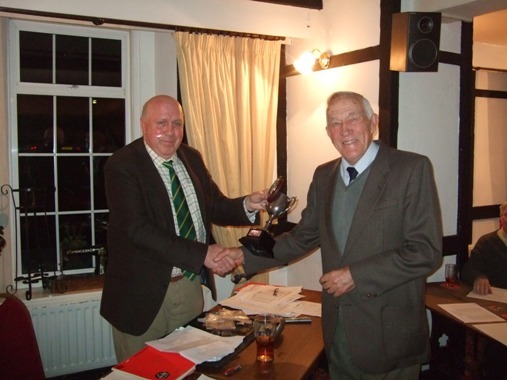 All who attended the meeting left in high spirits and were looking forward to the start of the season on March the 20th. 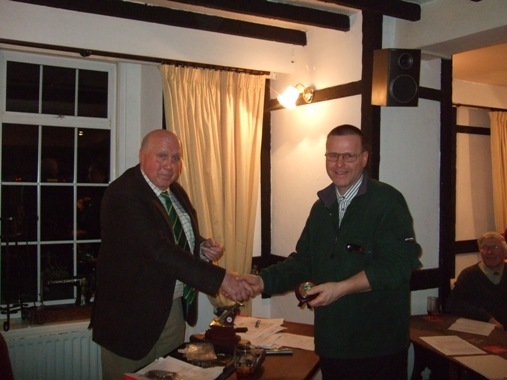 Well done to everybody and thanks to Roger.